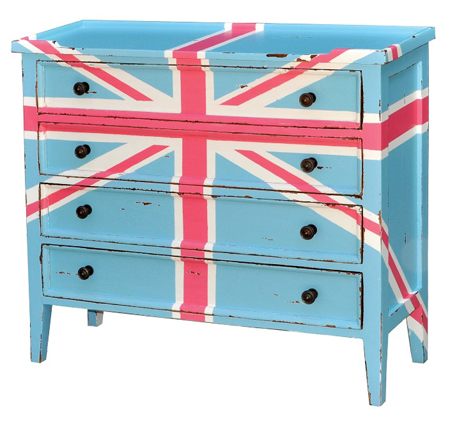 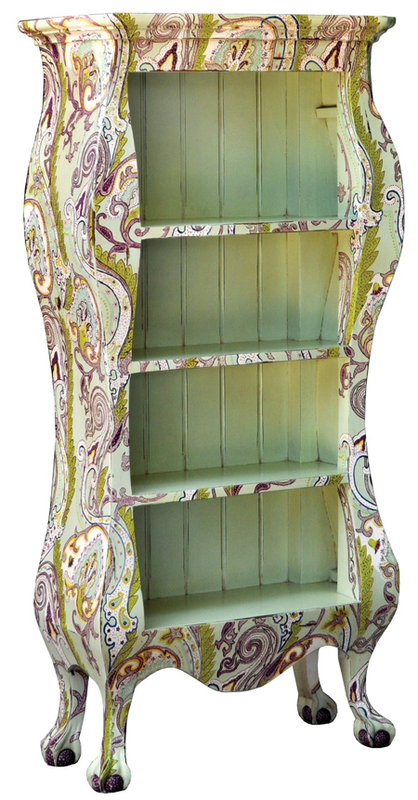 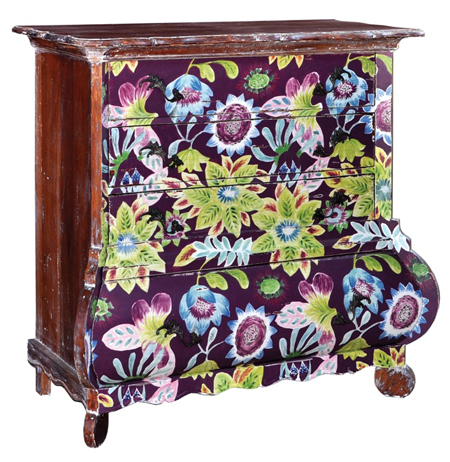 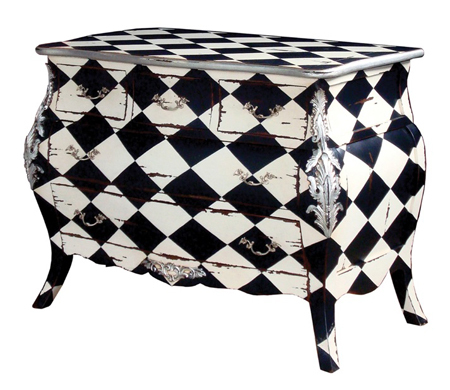 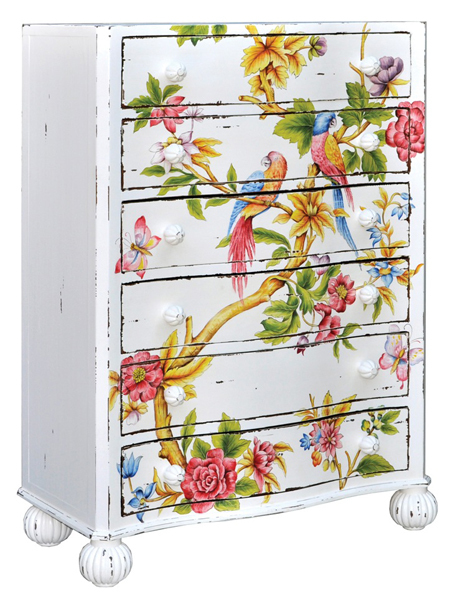 I've spoken of Steven Shell's line of painted furniture before - I've never quite seen anything like it. Did any of you High Pointers come across their booth while visiting Market? 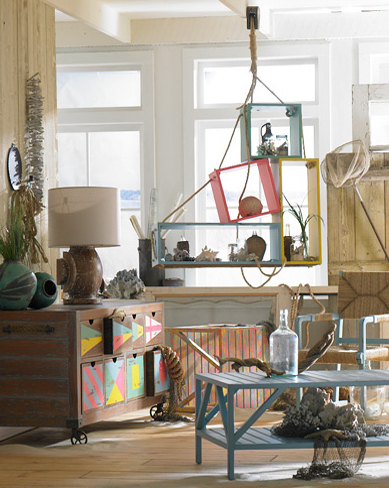 I loved this pink dining room that was part of their marketing emails. 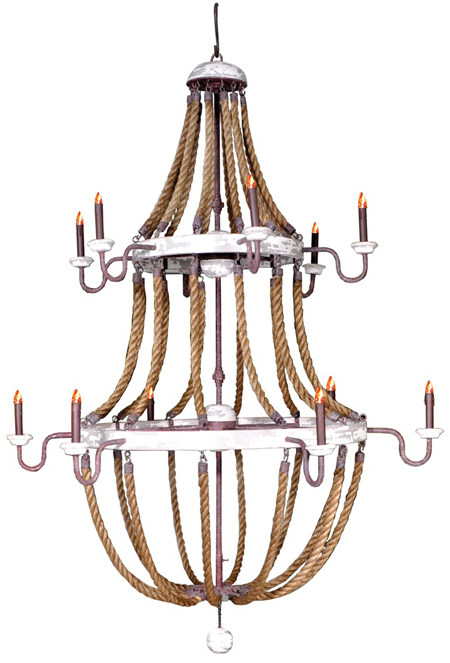 ADORE the silver lion head on the back of the pink upholstered armchair and that chandelier is a showstopper. 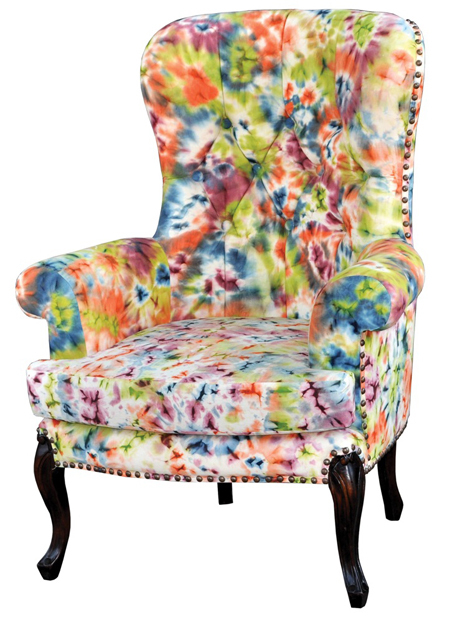 Two of these chairs placed opposite a traditional, solid-colored sofa would really make a room.